I was a bit too excited to open it up that I didn't give it a clean before the photos, so sorry about that! You are getting the raw experience of how it felt for me. What a beauty! 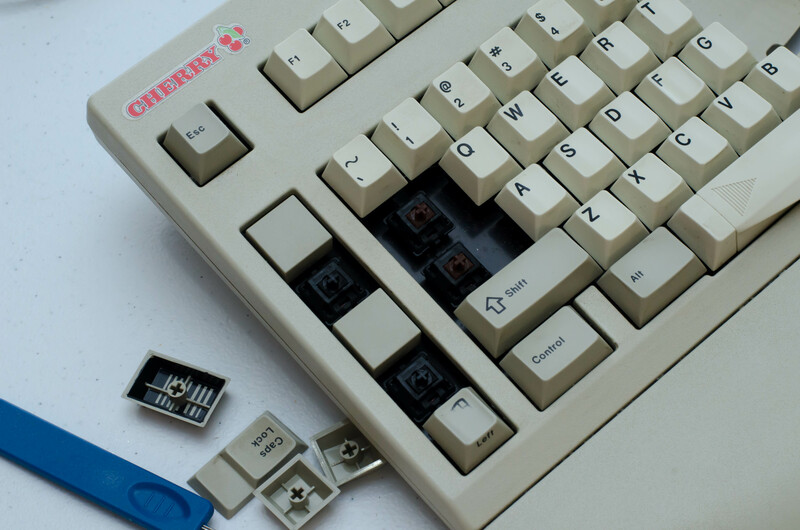 Looks like someone has loved this keyboard for a long while. Nice seeing it in its native form, spared the session in the makeup department first. While NIB is always a treat, this one’s led a happier life, out of the closet! The instructions moulded into the case read as suggested leg extension guides, to me; given the board’s variable geometry the feet will have different effects to usual. 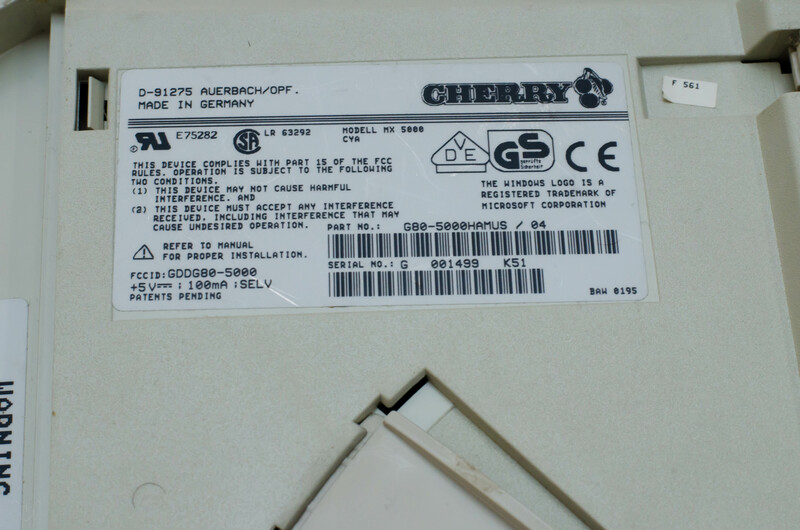 Ergonomics was Cherry’s whole schtick with this one, so they were keen to share their thinking. Thank you! Are you aware of how many variants might be out there when it comes to language/country compatibility? I've only known of DE, NO. Indeed, the keys seem quite uniformly shined (perhaps except the F-row and some of the nav. 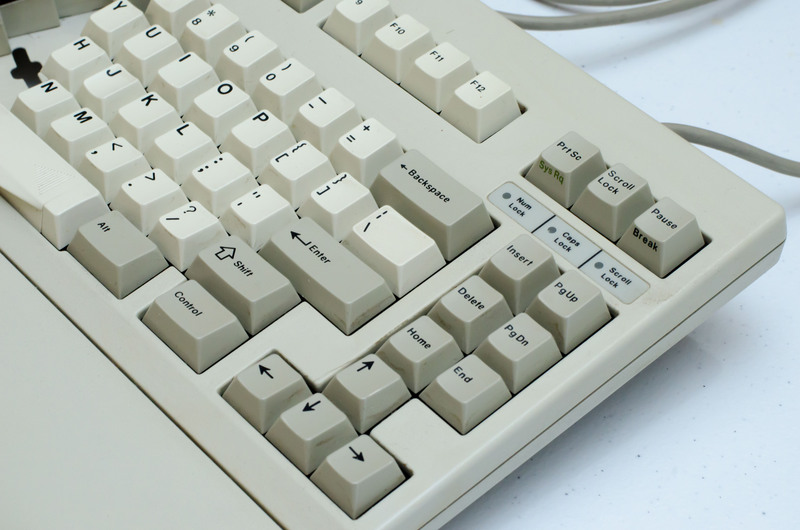 cluster keys), and the switches have been smoothened from use. I will gladly give this a thorough inside clean-up. I've tested the keyboard with a PS2 to USB converter, and it works perfectly, as well. It's really lovely, and the split is actually comfortable enough for daily use, which is its intended purpose! I agree I am happy to get a used one, frankly! I intend to use it, so it is actually much better for me than having to feel forced to keep a NiB item in pristine conditions. 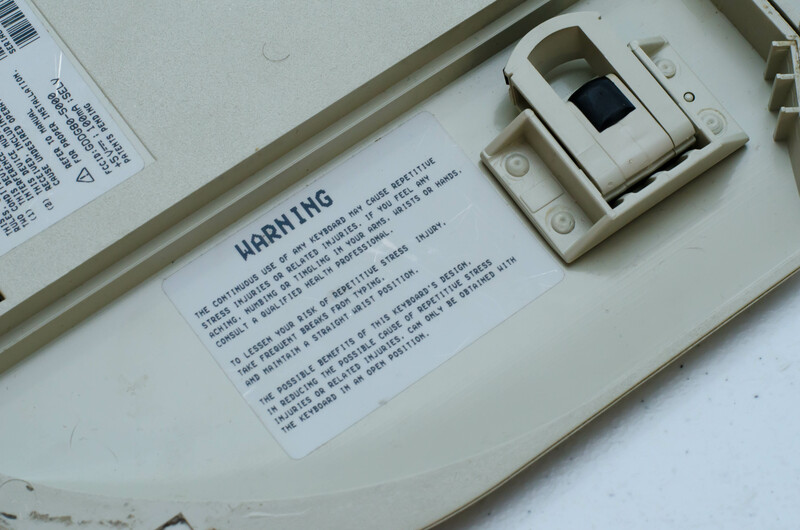 As you can see the WARNING label, the instructions are consistent with Cherry's reasoning that the keyboard's "possible benefits" are by "reducing the possible cause of repetitive stress injuries" from typing on the more traditional formats. Quite nifty solution from them! I love it. There are quite a lot of nib portuguese ones and there are russian ones with pad printed sublegends. Also an italian prototype exists. So I'd expect that most languages were available back then, maybe someone has an advertisment paper or instructions where all the variants are listed. I find the fact that the pad print on the left winkey is worn out rather amusing; not only does this keyboard have some of the worst positioned winkeys of any keyboard, they're super blacks to boot. I had severe issues using the winkeys on mine before I remapped them (I'm on a mac, so I tend to use the GUI-keys quite frequently). 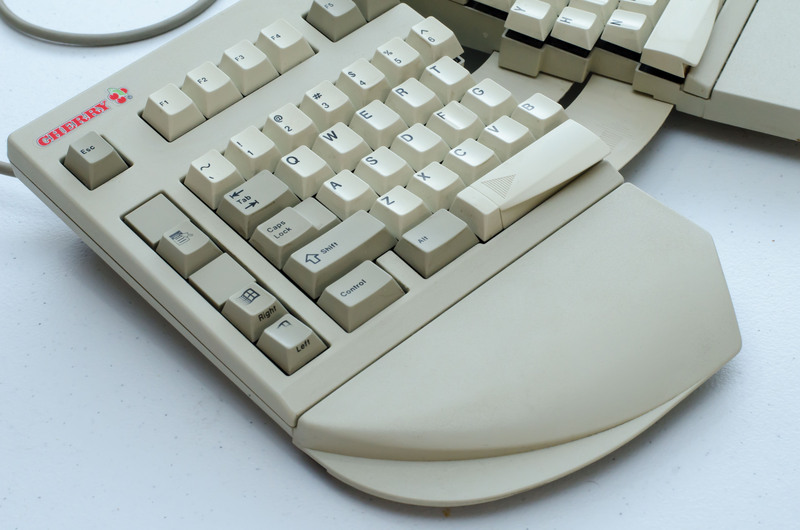 The former user of this keyboard did not let little pesky details like the position and stiffness of those winkeys get in the way of him using them, however. Impressive, I guess . I also found this split layout very easy to adapt to. I exclusively type on standard, staggered qwerty these days. 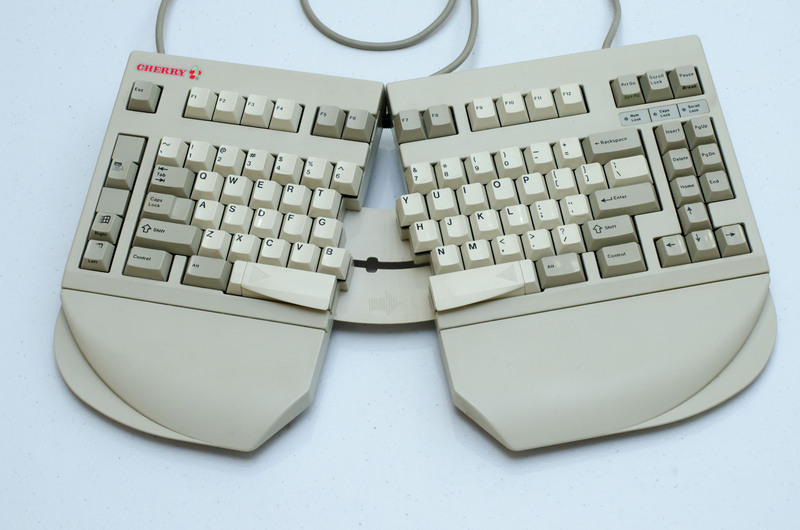 I had an ergo-curious phase a couple of years back, but I never found the ergonomic merit of whatever design I was trying out to outweigh the lack of typing speed and accuracy I was experiencing. Too bad (??) 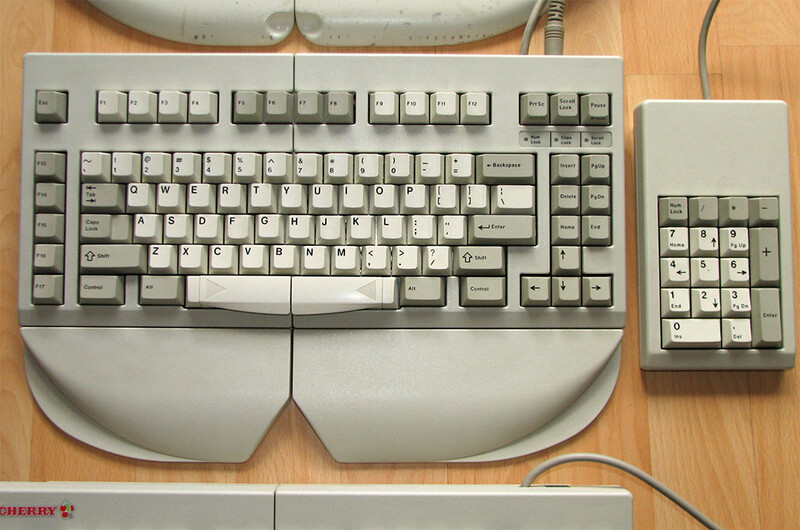 I didn't jump in on this end of the pool rather than going straight for the deep end, because, while probably not quite as ergonomic, I had no issues (apart from punching tiny little holes in the air when searching for b with my right index finger - and those winkeys) adapting to it. 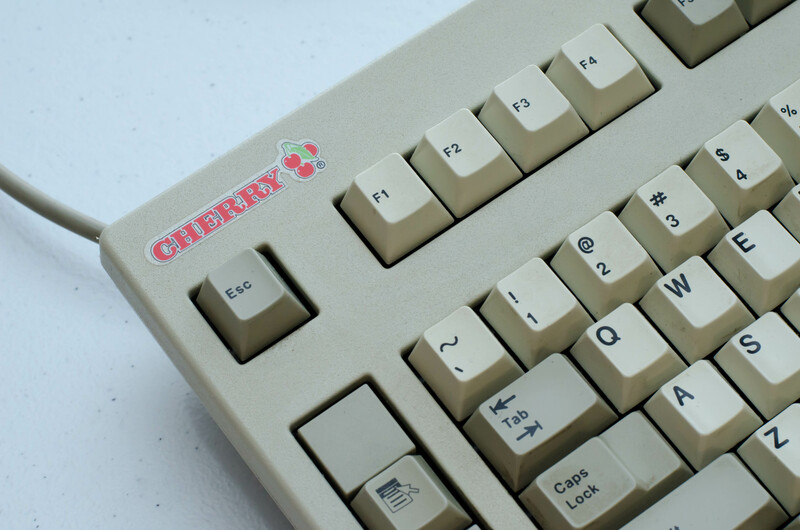 Such a legendary and expensive vintage keyboard Cherry 5000 - is a PCB-mount design. Now the photos remind me about that again. A great internal struggle and debate for me to go PCB-mount or Plate-mount on builds. I'm not sure if I ever said it, but I strongly think that they offered every language, just that most people from the country didn't buy them (therefore we don't find them), I doubt Cherry went "ehhhh French people ? yeah let's not make them a board". I do agree though, that they probably didn't survive the new generation of keyboards and when to the bin, but I'm sure they were once a thing. Did they always come with blockers or were there some versions with other dedicated keys? Any with A as the third letter, e.g HAAUS will have no blockers. I tried looking into the blockers, but they weren't easily removable. I will look into it some more once I choose to do some disassembly so I can carefully inspect the internals and clean it up a bit. The blockers are just pieces of square plastic with plastic pins going through the PCB. They're melted on like rivets at the back. 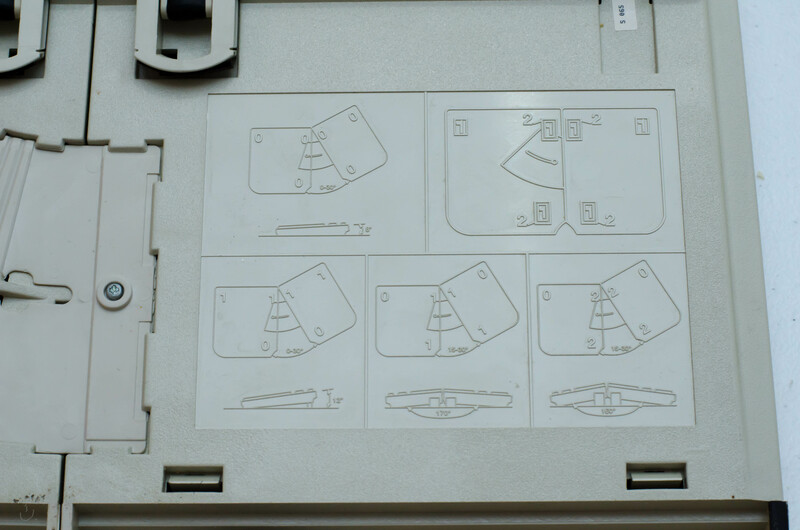 The regular PCB holes/pads are still there, but whether or not they can be populated with switches and used without further modification is another question.